So, here it is, the findings of the 2018 Child on Parent Violence and Aggression Survey. From the over 500 responses Dr Wendy Thorley has undertaken the vast majority of analysis and work and it's a testament to her tenacity and passion that it's come together at all. What does it say and what does it mean. Now, that is a question. There's lots to pull out and different people will find significance and use in different bits but to me there are few key issues that weave through the work. I now see Childhood Challenging, Violent and Aggressive Behaviour (CCVAB) that many families experience is an umbrella phrase that encompasses distinct behaviours beneath it, Child on Parent Violence (CPV) is one that is clearly defined and linked to intent and a desire to control parents and carers, on this almost all of the previous literature, guidance and research has been focused. However, from our respondents we found a much bigger group of children who's behaviour was described by them as linked clearly to dysregulation, anxiety, stress, not coping and being overwhelmed. The main point being that there was no prior intent or planning. Linked to that, over 50% of respondents noted that their children were diagnosed with a learning disability or autism and many of the children had compounded issues such as anxiety, attachment difficulties, mental ill health and ADHD. To then consider how the any violent and aggressive behaviour defined and described within this context leads directly to conditions as described in World Health Indicators 'Conduct Disorder confined to family context' and DSM-V indicators that outline Intermittent Explosive Disorder. Many of the respondent's children appeared to meet the diagnostic indicators for these conditions very different to the stereotypical CPV descriptions. This wasn't where we were expecting to be lead but its where we found ourselves with two distinct underlying causes and patterns to the behaviour under the banner CCVAB. Understanding this makes me consider workforce development, knowledge and responses. 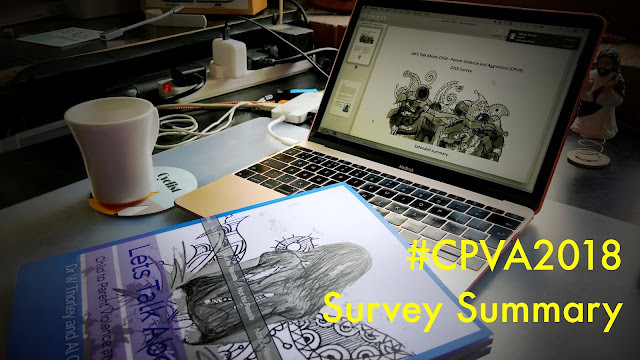 Historically, much has been pointed and directed to CPV when the survey notes this is the lesser of the two types. Food for thought across many professions. The need for effective informed responses is more pressing than ever. 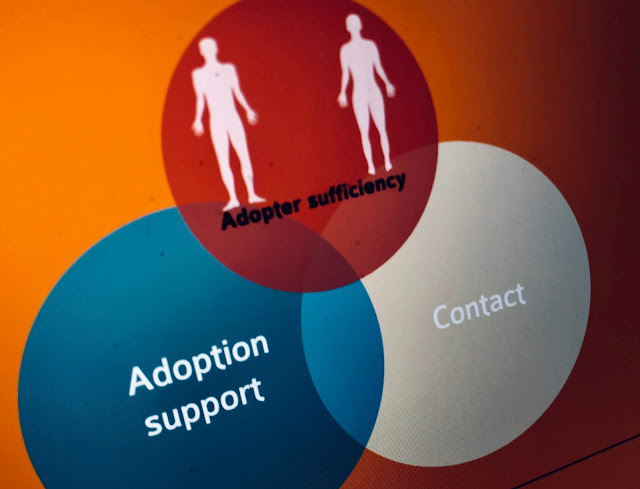 I know that the adoption community may be over represented in relation to CCVAB within the general population, however within the community of parents and carers living with children with like for like conditions (autism, ADHD, trauma ie. children with SEND) we share a similar level of challenge. We need to build strong links to that community of biological parents to strengthen our lobby. 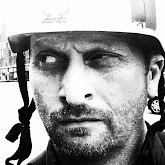 Of course there's a lot more to consider and that will be unpacked but I'd like to give a massive thank you to all that took part, have listened to me prattle on and have encouraged us when it got hard. We felt that the Extended Summary would be of most use to most people and that's freely available so please share far and wide. For a printed version of the full report then it can be found on amazon at a cost and we've made a ebook version for those on a budget. This is another part of the jigsaw, is there more to do? of course but all in good time.